The Japan & China Taste Japanese & Chinese Restaurant is known for serving all your favorite Chinese and Japanese dishes, including General Tso's Chicken, Spring Roll, Wonton Soup, Shrimp w. Broccoli, Moo Shu Pork, Happy Family, Avocado Roll, Rainbow Roll, & etc. Located at 255 Miracle Strip Pkwy SE, Fort Walton Beach, FL 32548, our restaurant offers a wide array of authentic Chinese and Japanese Food, such as General Tso's Chicken, Spring Roll, Wonton Soup, Moo Shu Pork, Happy Family, Avocado Roll, Rainbow Roll, & etc. Try our delicious food and service today. 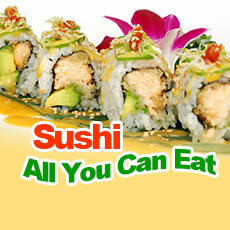 Come in for an Chinese and Japanese Lunch Special or during evenings for a delicious Chinese and Japanese style dinner.